The MH370 disappearance has given Malaysia Airlines' communication operation an unprecedented challenge, but poor handling and misinformation have created a credibility gap, say PR pros. The search for the missing flight now involves 26 countries, but the plane is yet to be located. An Australia-led investigation into objects seen on satellite images that could be debris is still ongoing. "The challenge you have with crisis communications is not to make it worse, because you can’t make it better," says Robert Jensen, CEO of Kenyon International Emergency Services, which provides crisis communications support for a number of airline clients. "It’s a hard job but it has been done, and by smaller airlines. Malaysia Airlines is a national carrier so I would have expected better." The airline’s initial response to the disappearance on March 8 consisted of a first statement at 7:24am, about five hours after the loss of contact with the plane. It activated a 'dark site,' a dormant website designed to be the main channel of communication, and it added information with further statements in the following hours, as well as issuing updates via social media. Information in official statements was often inaccurate, with most followed by statements giving corrections. "You can’t do that because you lose credibility," explains Jensen. A Malaysia Airlines spokesman said the response has been handled in-house by a team trained in crisis communications and led by CEO Ahmad Jauhari Yahya and others at board level, who give daily updates to the government and the press. The Malaysian government is understood to be taking an overall lead on comms, and defense and transport minister Hishammuddin Hussein has acted as a spokesman. The prime minister also issued a statement on March 15. Travel PR agency Rooster MD James Brooke agrees, pointing out that it was not the CEO but someone more junior who initially served as spokesman. Brooke, whose agency Rooster handled Malaysia Airlines' UK consumer PR in 2008-09, points to the example of the British Midland crash at Kegworth in 1989. That company’s CEO immediately briefing media in the car on the way to the scene contributed to a subsequent improvement in the airline’s reputation. 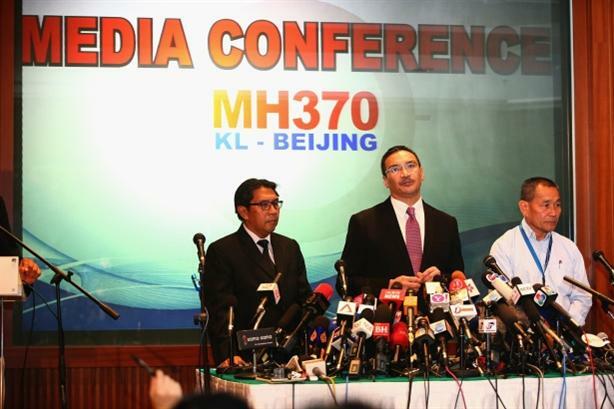 Malaysia Airlines has not taken on an external agency to help with its handling of the crisis. However, it does have a handful of agencies around the world from which it could seek advice, such as Perowne Charles Communications in the UK, headed by former Virgin Atlantic global communications director Paul Charles. "It is the nature of that airline that everything is controlled centrally at head office, as with a lot of carriers, but it has quite a senior comms man in the UK [with Charles]," Brooke notes. He agrees that while the initial response was a clear failure, things have improved. "It has got its act together now but it was slow at the start," Brooke argues, saying the way information was being put out has become more finely tuned. "This is incredibly challenging from a comms perspective. There is so much rumor and speculation for them to keep a handle on." "It’s not about finding the plane," he says. "It’s about several hundred people whose lives are on hold. They are the audience." Has the VW scandal become a sector-wide reputational crisis for the motor industry?